This article about NAFTA Renegotiations Update was developed and published by CCN Law Firm in San Antonio, Texas. CCN specializes in International law with a focus on Latin American countries, including Mexico. Cacheaux, Cavazos & Newton, L.L.P. · 333 Convent Street · San Antonio, Tx 78205 · USA. Tecma has received permission from CCN to publish this article in our Blogs. The U.S., Mexican and Canadian governments are wrapping up internal processes leading up to renegotiation of the NAFTA. Such processes have been conducted in an atmosphere of intense and timely participation of the respective governments, lawmakers, industrial and commercial trade groups and nongovernmental organizations, as well as individual citizens. Each country has established its own internal mechanisms to devise their strategy and posture for the renegotiation. In the U.S., the United States Trade Representative (USTR) sought public comments and held public hearings on the negotiation. In Mexico, the Secretary of Economy launched a website to receive comments and proposals from interested parties regarding the modernization of the NAFTA. Such comment period closed on July 26, 2017, as part of the announced public consultation process. In addition, the Intelligence Room (“Cuarto de Inteligencia”) and the Support Room (“Cuarto de Junto”) were established in order to elicit the perspectives of the country’s various economic sectors. For its part, Canada implemented a similar electronic portal designed to receive public comments through July 18, 2017. Also on July 18, 2017, as part of the renegotiation timeline being pursued by the U.S., the USTR published the “Summary of Objectives for the NAFTA Renegotiation,” the main objective of which is to “improve the U.S. trade balances and reduce the trade deficit between the NAFTA Countries.” There is a potential domino effect inherent in this objective, which could directly influence other objectives, including: ensuring that the rules of origin incentivize the sourcing of goods from the U.S., eliminating the current Chapter 19 dispute settlement mechanism, and increasing opportunities for U.S. firms to export U.S. products and services. · Reduction of the U.S. trade deficit. · Elimination of Chapter 19 dispute settlement mechanism. · Establishment of acceptable working conditions. · Inclusion of anti-corruption provisions. Notably, the Information Technology Industry Council (“ITIC”) has stated that the Summary of Objectives issued by the USTR omits key global technology sector priorities for the NAFTA renegotiation. In Mexico, the Undersecretary of Legislative Liaison and Political Affairs of the Secretary of Interior/Government submitted a document to the Mexican Senate, issued by the Secretary of Economy, entitled “Priorities of Mexico in the Negotiations for the Modernization of the North American Free Trade Agreement.” The priorities were established based on the comments and proposals received from the public and from numerous dialogues held with the Mexican private sector. Such priorities are grouped in four fundamental pillars: (i) strengthening competitiveness in North America; (ii) advancing the premise of inclusive and responsible regional commerce; (iii) taking advantage of opportunities offered by a XXI century economy; and (iv) promoting certainty for trade and investment activities throughout North America. · Set forth regional cooperation mechanisms, promote development and implementation of labor programs, establish new educational models and facilitate integration of workers in keeping with new requirements of the respective labor markets. The second pillar, “advancing the premise of inclusive and responsible regional commerce,” seeks to incentivize the participation of small and medium businesses to strengthen international commitments in labor matters and promote cooperation in environmental issues. It also aims to establish measures against anticorruption and incorporate gender perspectives in certain provisions of the NAFTA. The third pillar, “taking advantage of opportunities offered in a XXI century economy,” would update energy regulations, promote the development of the digital economy, electronic commerce, telecommunications and financial services in digital platforms, as well as procure access to U.S. and Canadian markets to Mexican financial services and investors and promote effective enforcement of intellectual property rights. The fourth pillar, “promoting certainty for trade and investment activities throughout North America,” includes: consolidation of the legal framework for productive companies, modernization of the NAFTA’s dispute settlement mechanisms, rules on antidumping duties, promotion of information exchange among countries, maintaining efficiency in markets, protecting the rights of consumers and providing legal certainty to Mexican suppliers in government procurement procedures. 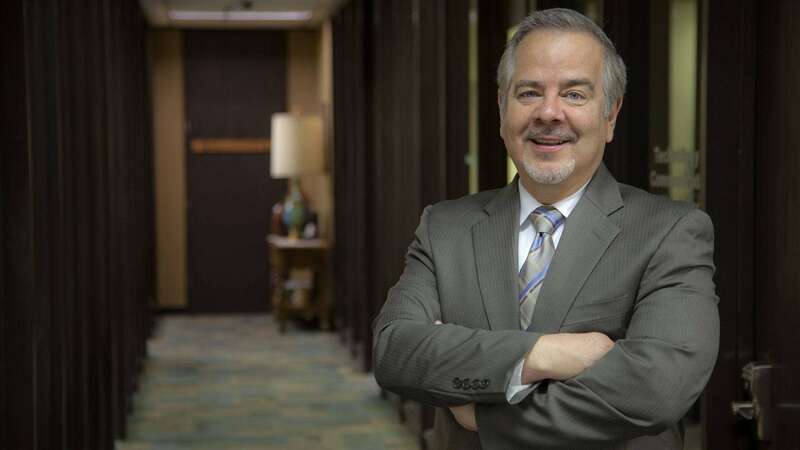 In regard to the expedited schedule and timing of the renegotiation process, Mexican Secretary of Economy Ildefonso Guajardo stated in an interview with Imagen Informativa that it is a good signal that the U.S. objectives were timely published. Secretary Guajardo further stated that it is clear certain issues will need to be overcome, which may complicate the parties’ negotiations, while at the same time there are many positions on which all three countries agree. In regard to the team leading the U.S. NAFTA renegotiation, USTR Robert Lighthizer announced that John Melle, current USTR for the Western Hemisphere, will be the U.S.’s Chief Negotiator. · Kenneth Smith, Chief of Technical Negotiation of Mexico for the NAFTA modernization. · Juan Carlos Baker, who is the current Sub-secretary of Foreign Trade of the Department of Economy. · Salvador Behar, Director of North America in the Sub-secretariat of Foreign Trade of the Department of Economy. For Canada, Foreign Affairs Minister Chrystia Freeland announced that former parliament member Rona Ambrose will serve on the advisory panel for the NAFTA renegotiation. While each country prepares for the first round of negotiations, the expected timeline for the U.S. remains unchanged, as per the chart below. During the first negotiating round that will take place in Washington, D.C. this week, the negotiating teams are expected to agree on an expedited agenda and calendar in order to conduct the next rounds of the renegotiation process. A preliminary agenda of topics and chapters to be discussed has already been set. The second negotiating round is expected to be held in Mexico, beginning around the first week of September. We encourage readers to closely follow the renegotiation process through the CCN Special Report and other reliable sources of information. What is next on the agenda of the U.S. in the NAFTA renegotiation? The next item on the agenda is to begin the NAFTA negotiations on August 16, 2017. The U.S. will host the first round for the NAFTA renegotiation from August 16, 2017 to August 20, 2017, and Mexico will host the second round in early September, 2017. What are the latest declarations of the Mexican government with respect to the NAFTA renegotiation? The Mexican Secretary of Economy Ildefonso Guajardo stated that the renegotiation may conclude before the beginning of the presidential electoral process in Mexico. When will the NAFTA renegotiation begin? Based on the 90 day consultation period, the negotiations will begin on August 16, 2017. It is expected that the negotiation will conclude by the end of 2017, prior to electoral periods ramping up in Mexico and the U.S.
What are the latest declarations and actions of Canada with respect to the NAFTA renegotiation? 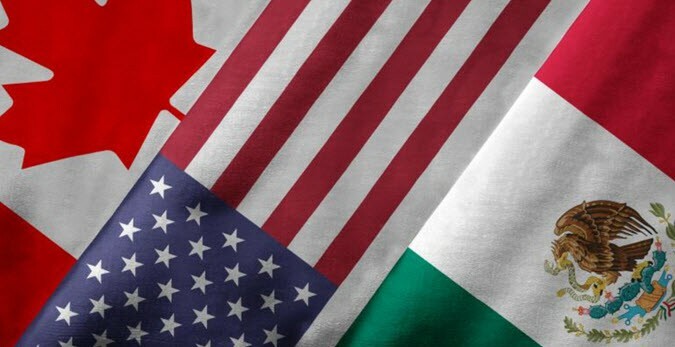 Canada has expressed its opposition to the elimination of the Chapter 19 of NAFTA- settlement mechanism. Canada beefs up trade team ahead of NAFTA negotiation, August 2, 2017, MCLEANS Online. Documento de EEUU permitirá arrancar renegociaciones del TLCAN en agosto: Guajardo, Imagen Radio, July 18, 2017. Este es el equipo negociador de México para el TLCAN, El Financiero Online, August 2, 2017. Informe a la Cámara de Senadores del H. Congreso de la Unión Sobre el Inicio de Negociaciones para la Modernización del Tratado de Libre Comercio de América del Norte (TLCAN) entre Canadá, Estados Unidos y México, July 2017. Innegociable, eliminar capítulo 19 del TLCAN: Legisladores, Excélsior Online, July 24, 2017. Kenneth Smith ¿Quién es el jefe de la negociación del TLCAN?, El Universal Online, July 31, 2017. México define sus prioridades en el TLCAN, El Financiero Online, August 1, 2017. México Says It’s Willing to Talk on Sensitive NAFTA Issues, ABC News Online, August 2, 2017. North American Free Trade Agreement (NAFTA) Information on consultations, Government of Canada Online, July 24, 2017. Será difícil renegociar el TLCAN: Guajardo, Excelsior Online, August 3, 2017. Summary of Objectives for the NAFTA Renegotiation, Office of the United States Trade Representative (Online), July 17. USTR Announces First Round of NAFTA Negotiations, Office of the United States Trade Representative, July 20, 2017. Wilbur Ross: NAFTA renegotiation may take until next year, June 19, 2017, CNBC Online.